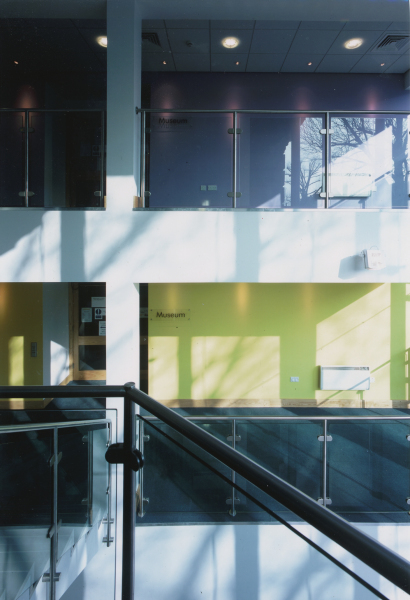 Replacing the Existing Staircase Lobby Between the Two Storey, Classical Library Building and the Three Storey 1960’s Museum Building. 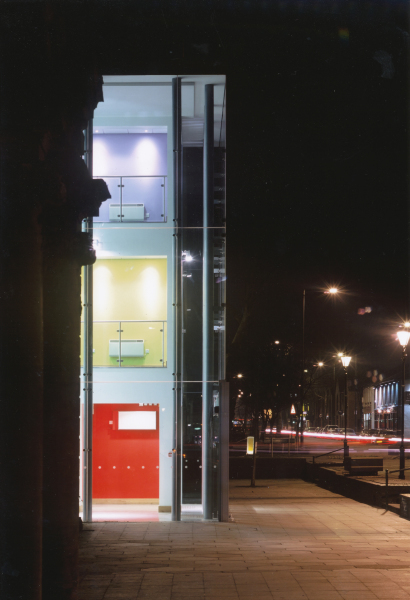 The brief was to create a new main entrance, easily identifiable within the street. 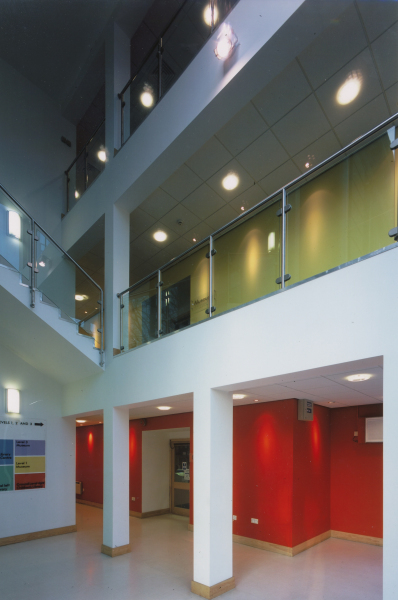 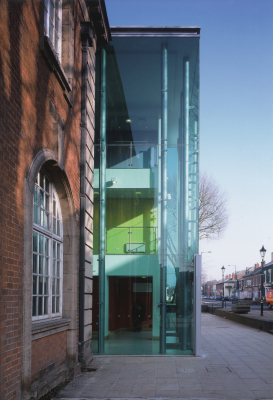 It also had to be fully accessible providing both a lift and a stair to all five floor levels. The brief was met by inserting a three storey planar glazed lobby between the two existing buildings, pulled out beyond the building line. 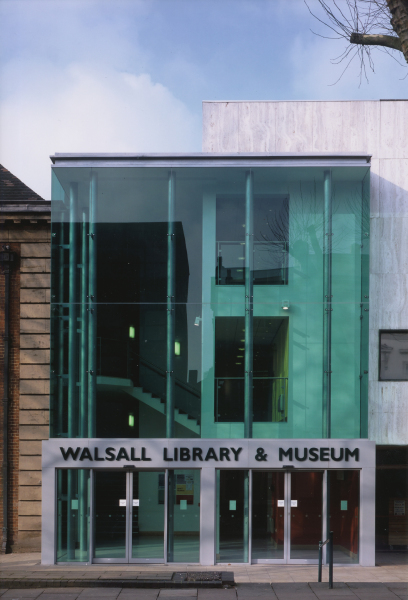 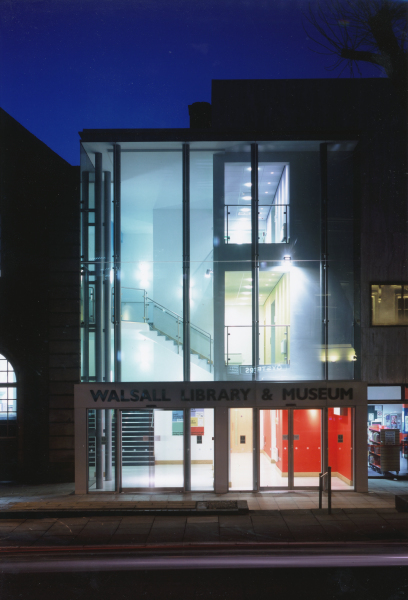 In addition to providing a clearly signalled entrance for the library and museum, the new atrium creates a splash of light at night enlivening the existing urban space and attracting evening users of the library.